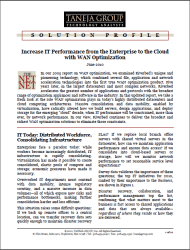 WAN optimization plays an important role in today’s highly distributed datacenters and cloud computing architectures. 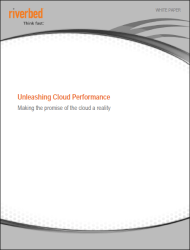 Massive consolidation and data mobility, enabled by virtualization, have radically altered how we build servers, design applications, and deploy storage for the emerging “cloud” decade. 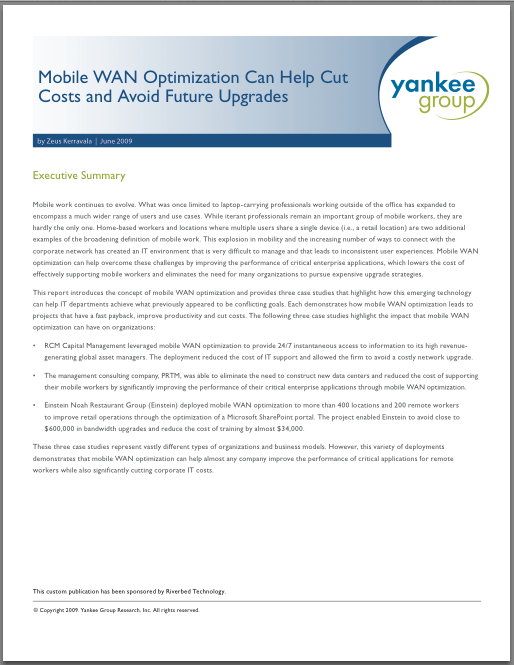 This paper discusses how Riverbed solutions effectively eliminate IT performance constraints in such environments. Is it possible to eliminate the impact of distance? 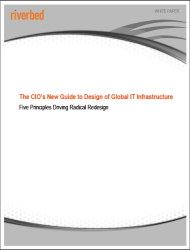 This paper explores the 5 key principles successful CIOs are using to redesign IT infrastructure of any size. 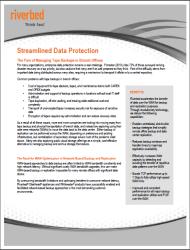 Learn how to be prepared to adapt your environment in a way that supports distributed employees, anytime anywhere collaboration and the need for business continuity during a disaster. 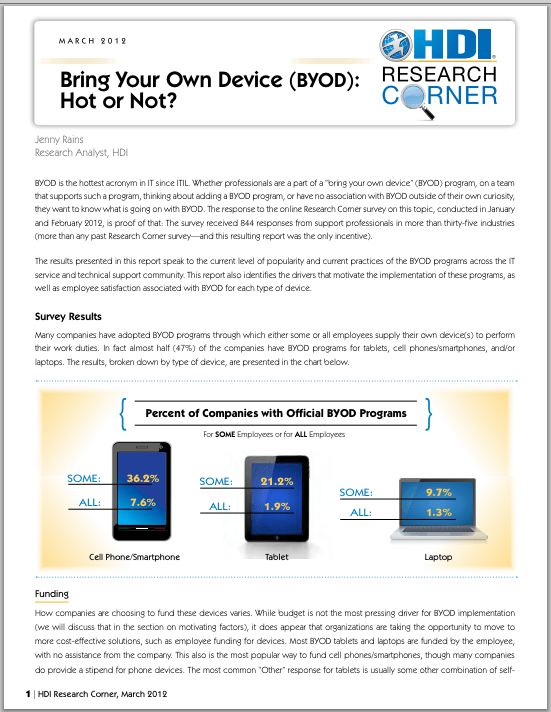 Bring Your Own Device (BYOD): Hot Or Not?